Foodie and former chef Alex Ingalls started brewing kombucha to aid her digestion after hedonistic meals and nights out partying. When her brews proved popular with friends and co-workers she decided to turn her hobby into a business. 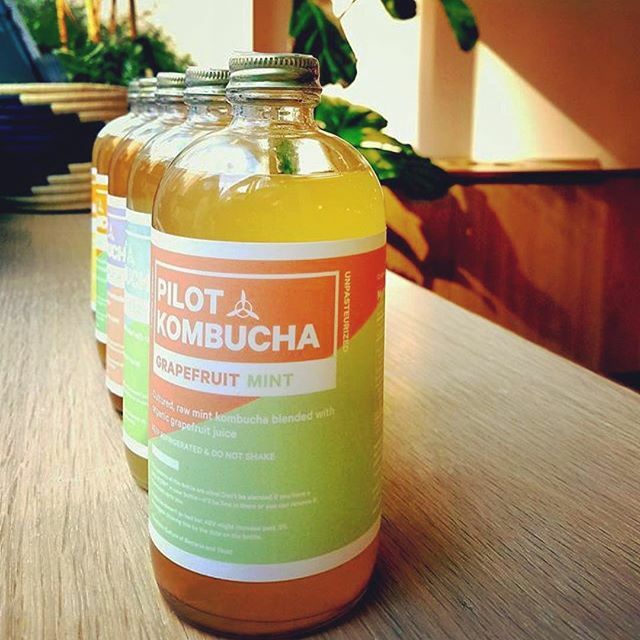 Pilot Kombucha launched in Brooklyn,NY in March 2015 with one goal: bring gut health to the hedonistic food lovers of New York City. Pilot Kombucha uses a mix of organic and fair trade ingredients, sacrificing a longer shelf-life for more nutritious bacteria. Their fruit, vegetable, herb and spice blends are available in bottles or on tap by the cup and growler. Pilot Kombucha is named for a long history of aviation in Alex's family -but also to celebrate the push past surface appearances to discover incredible, nourishing things.